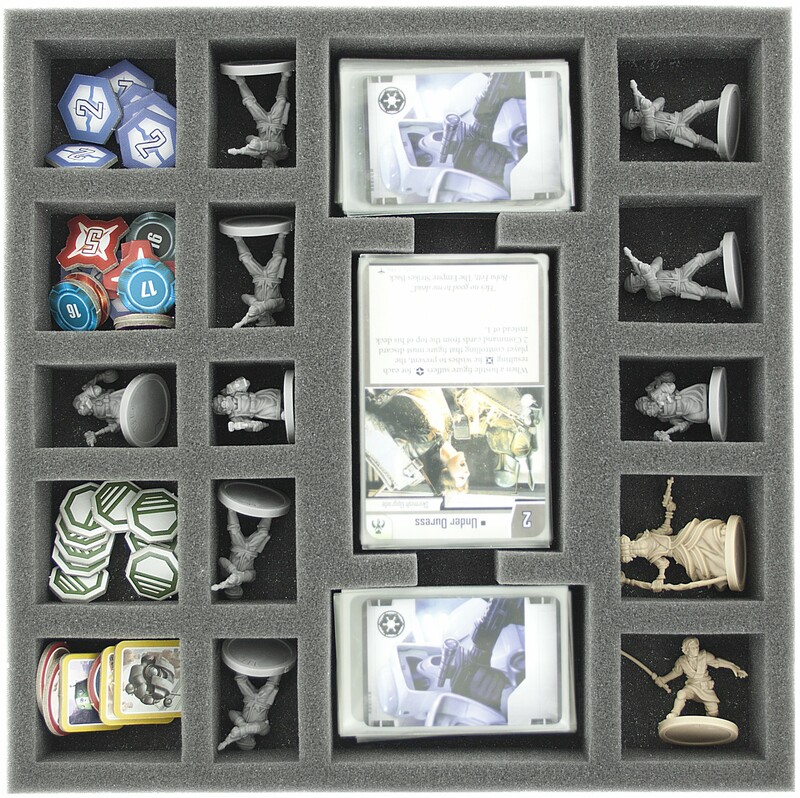 Foam tray for the Star Wars Imperial Assault - Twin Shadows board game box. 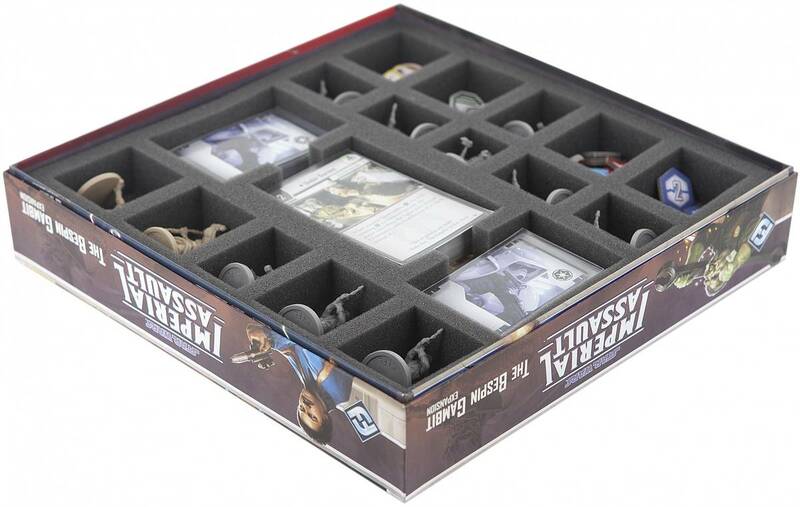 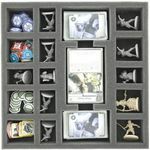 The tray provides a great solution for protecting all figures, tokens and cards in sleeves from the original board game box. 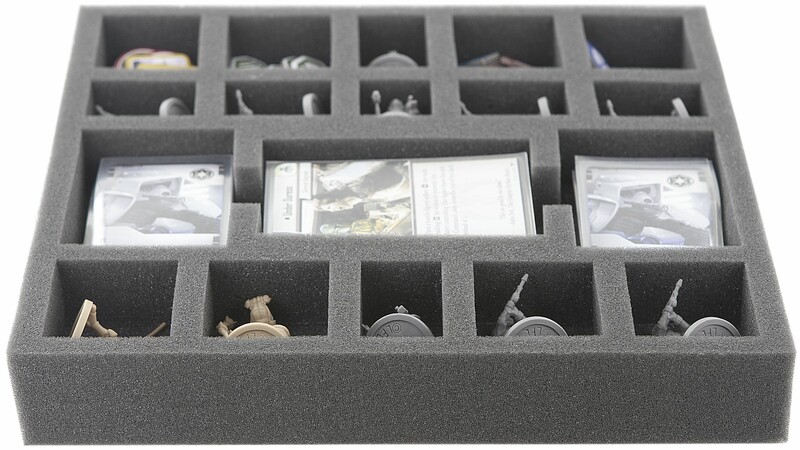 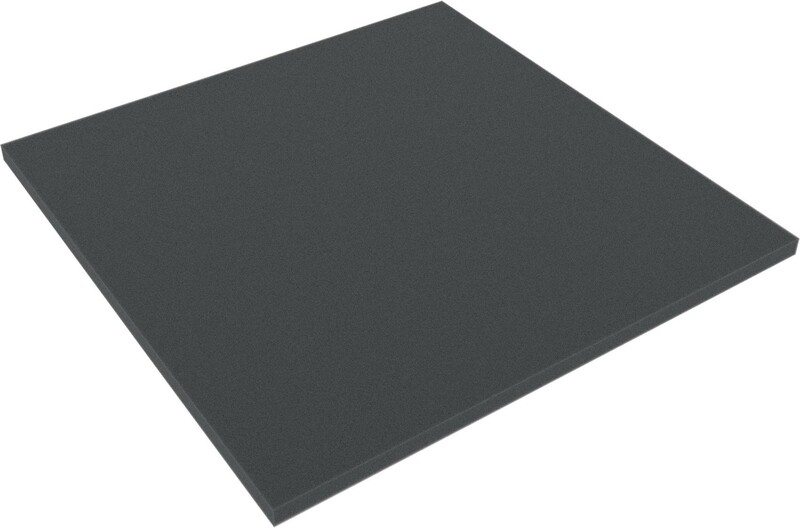 There is an additional 10 mm foam topper to protect the Twin Shadows figures. 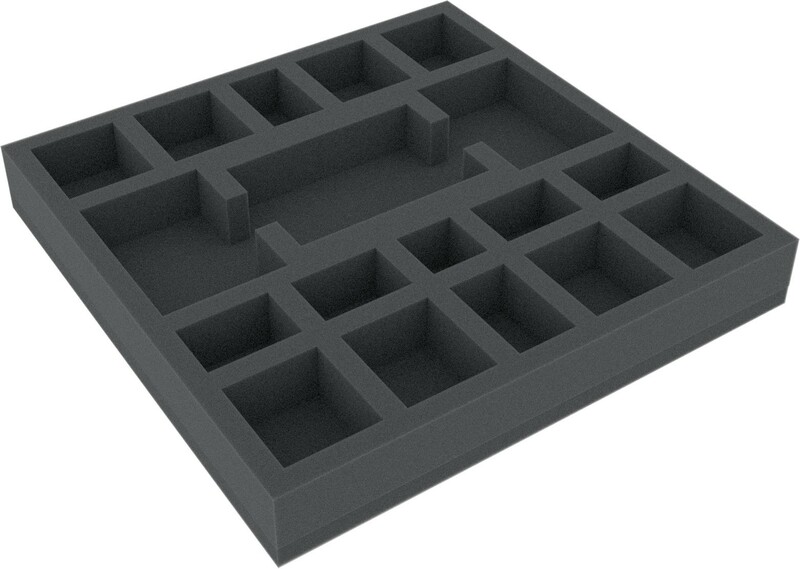 Picture shows map tiles beneath protective foam! 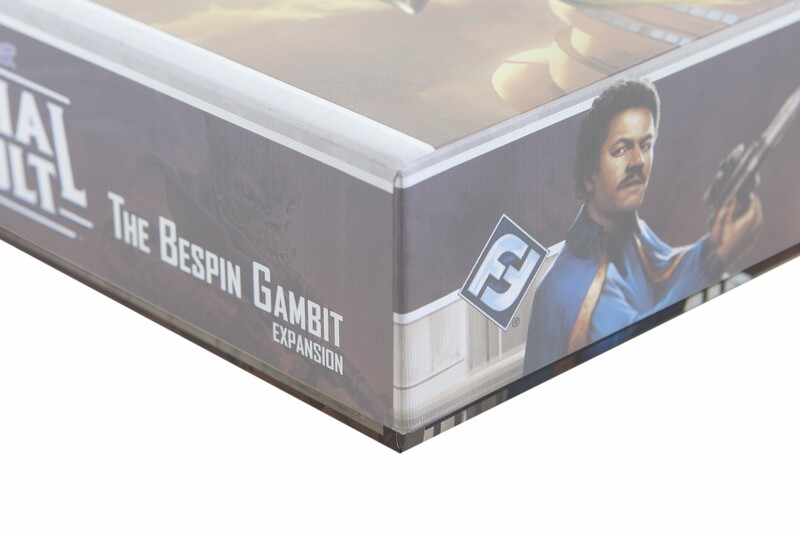 Foam tray dimensions: 247 mm x 247 mm x 35 mm and is custom made to suit the Star Wars Imperial Assault - The Bespin Gambit board game box.